3D Printing is a rapidly changing technology. So it’s no wonder that teachers are sometimes intimidated by this medium. To help make this all a little more manageable, I’ve curated a list of 3D printing resources specifically for education. And while a list is nice, it’s really all in how you use it. 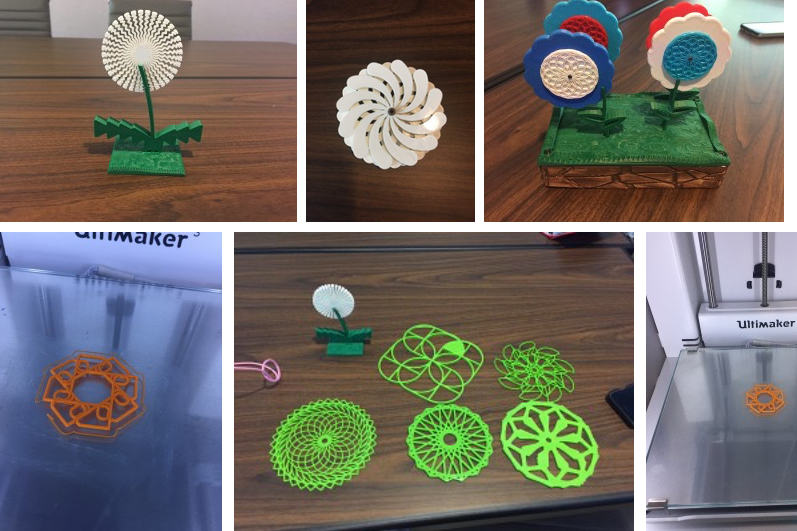 I recently went to a 3D Printing conference and learned so much about new and innovative ways to bring this to the classroom. So let’s take a look at some fun ways to use mashups, materials (and MakeyMakeys, etc.) plus many other awesome materials to expand your horizon and vocabulary of maker technologies. I emphasize many cross-curricular, interdiscplinary, and experimental mashups in my classes. Technology is ever-changing and I want my students at the Charter High School for Architecture + Design in Philadelphia to get the most out of my class. 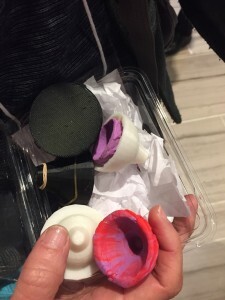 To keep my own skills sharp, I recently went to Construct3D 2017, which is a national conference focused on 3D printing, and I learned so many new ideas about materials, ways to print, assemble, and construct new and exciting designs. Skylar Tibbits was the keynote speaker and his presentation on 4D printing and his Self Assembly Lab was mind blowing, to say the least. 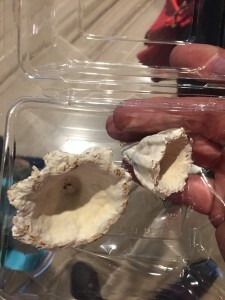 A fellow educator involved in 3D printing Laura Taulman wrote a great article on the conference that would summarize the event much more potently than I could. The reason I mention this conference is because as educators, we need to provide new and groundbreaking ideas and materials to try to get the the students to understand and use these materials to provoke skills in new media. We need to use the materials to push the envelope as far as we can with them to better prepare them for new 21st century skills. By mashing the materials and tools up, and meshing them with craftsmanship and skills that art and design and makerspaces provide, we will have the students expand their understanding and conceptional skills. My takeaways from the conference were in how I can expand my design students’ interests in science (especially biology and molecules, to be specific) and other cross-curricula as it pertains to 3D printing and our curriculum. I had the pleasure of talking to some fantastic people such the folks at at TinkerCad, Structur3D and of course, Ultimaker. Another highlight of my conference was getting to meet educators face to face offline and getting to talk to them about all of the great things they are doing with 3d printing, especially mashups of new proportions. One of my favorite people I had the honor to meet was Corinne O. Takara. She does some amazing things with 3d printed molds, mycelium,and LEDS lights. Mindblowing and very moving, I was glad to share with Corrine my love of Algix 3D filament, which she is now printing her rooted bricks project. I went to as many sessions as I could, as well as presenting my own students work, which I just wrote about for Ultimaker. Another educator who does wonderful mashups with maker technology, and constructivist learning in Josh Burker. Even though I have met Josh and taken his workshops, I always learn more about TurtleArt (which lets you make images with your computer) and new things he is working on. There was also a session using Chimera to visualize and molecules to 3D print. This demonstrated how to mesh science with design classes, and I’m really excited to try this with my own students. 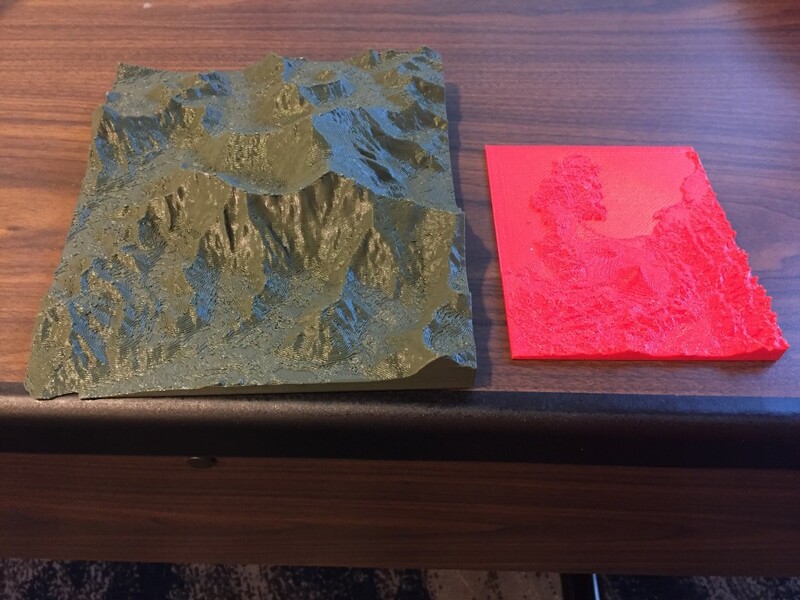 Another cool session I went to was using topographic maps and making 3D prints from the data. Overall, this conference just reaffirmed what we already know: 3D Printing is the way of the future in education for design, innovation and experimentation. I’m so grateful for the opportunity to attend and share it with all of you. Let’s keep growing and stay willing to try new things. It’s the best way to bring the joy of learning to everything we do.